5 Ways to Make Your Kitchen Windowsill Work for You! A kitchen is a unique space in a home, with many different spaces that allow for decorating. The windowsill is a space within the kitchen that is often underutilized or left to look messy. Whether you’re redoing your whole kitchen or only looking to update it a little, a bit of creativity on your windowsill can improve the overall look of your whole kitchen. Use these 5 tips to make your windowsill work for you. A windowsill offers the perfect opportunity to style your kitchen in your own way. Use it as a shelving space with a few curated items. For windowsills that are not deep enough to place anything on them, consider adding a shelf either in front of or next to the window. When placing items on any shelf or surface, it is often easy to overdo it. Be sure to select only the items that you’d really like to have displayed so that it does not look cluttered. Having fewer items on the windowsill also allows for easier cleaning, an important factor to consider in a kitchen space. If you have more items than you can use at once, simply pack some away and use them to swop out décor for different seasons or events. 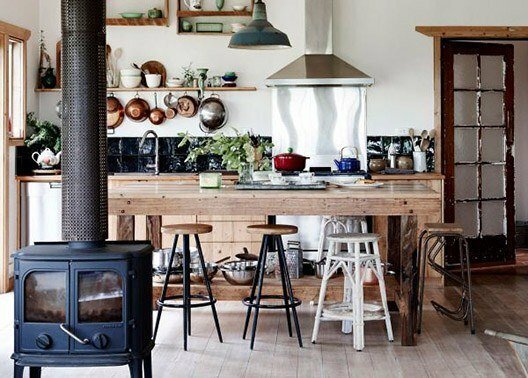 While décor allows you to add your own personality to your kitchen, it can still be achieved by keeping things practical. Include items like hand soap, cleaning products, a mini to do list, a pretty tool like a mortar and pestle or some recipe books. Having these practical items in an easily accessible spot make it much more likely that they will be used. If the containers themselves are not decorative, simply decant them into more attractive containers or place them inside a beautiful holder. Fresh herbs always improve the flavour of a dish and a windowsill is the ideal environment for some light-loving plants. While not everyone has the space to grow a full garden, many herbs are easy to grow in small pots on a windowsill. Good kitchen herbs include basil, rosemary, mint, thyme, chives and oregano. Ensure your pots have good drainage and place them on your sunny windowsill. Remember to give your herbs sufficient water according to the needs of the different plants. If the soil feels dry three centimetres below the surface, then add a little more water. By regularly trimming your herbs, you will encourage the plants to grow more. Adding curtains or blinds to your window not only allows you to improve privacy and control the amount of light coming through, but also softens the look of the window. Keep window treatments simple and in line with the design of the rest of your kitchen. When choosing the fabric, make sure it is one that will not hold on to smells and will be able to withstand sun. A light sheer curtain can be used to allow plenty of light through, while adding privacy. A heavier curtain or blind will block more light when closed, but can still soften the space when it’s open. Whatever you choose to place on your kitchen windowsill use it as a chance to be practical, while reflecting your own personal style.